The draft podcast I listened to and ESPB questioned his shot. he wasn't. he shot 32% from three last season and his mid range and his free throw needs work. I called him Diet Ben Simmons for a reason. Edited by Majesty, June 23, 2017 - 09:30 AM. He is not even gonna play 10mpg in his rookie season. His shot efficiency is least of my worries. I haven't seen him play a whole lot but every time I've seen him play he was pretty good from 3. Watch the combine game if you can, all he took was jumpers. He was killing in the combine. Shot looked good, rebounded and ran the floor. Yeah Dozier had an amazing alley oop at the combine too if anyone can find it. Never seen him play before. I trust Ryan though, he's been fire. Sounds a lot like what Spurs franchise did with Pop. He's already a better shooter than Nance and Randle and he's an energy guy. If the rebounding and ball handling translates he's going to get minutes. I don't know much about him, but after watching a bunch of tape on him he seems like the type of PF we've been trying to draft recently as far as being a player who can grab a board and lead the break. Also looks like an ideal running mate for Lonzo as he is able to get out in transition, and excels at moving without the ball. Right now I see him as an Al-Farouq Aminu type player. 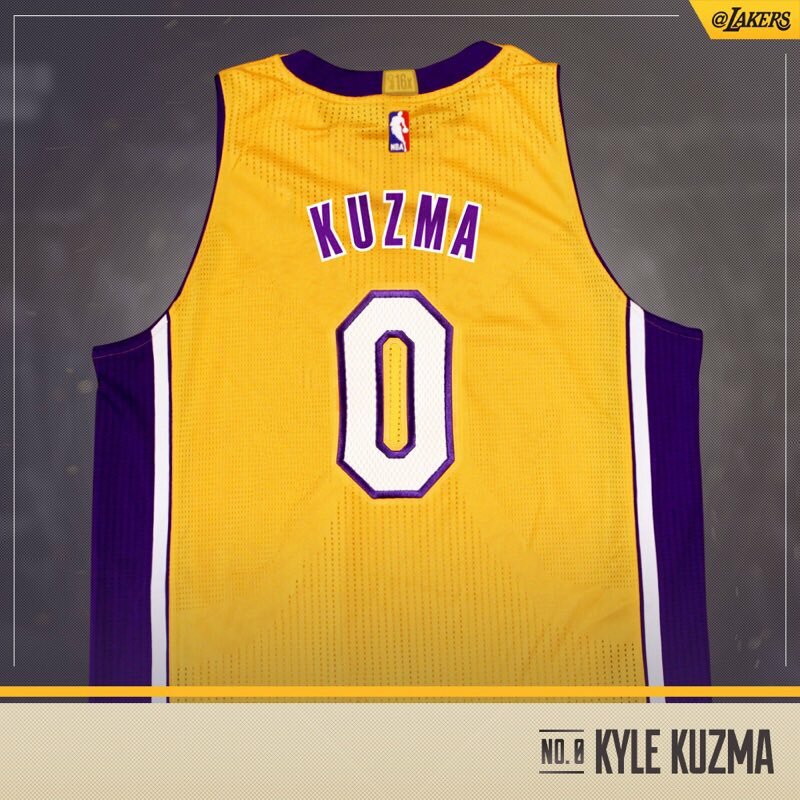 You know I like this kyle kuzma kid coz you know he can be da lakers stretch 4 and be dat 3 & D guy we been looking for you know. Also this dude looks like ben simmons and sam bowie you know and at the end of the day this kid finna be good you know dat! Good form on his shot. Has improved since his freshman year (I believe). I think we have all wanted better outside shooting from our BIGs. Let's hope he's the answer. That should tell ya'll the future of Swaggy here. Edited by Ring Chaser, June 29, 2017 - 05:28 PM. Good luck Swaggy! I hated the guy at first but he really turned it around last season.